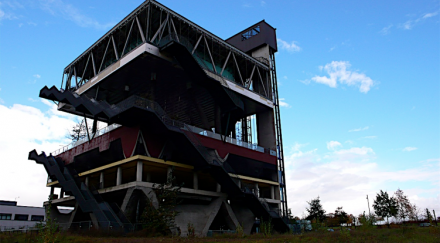 The sad-looking structure above was the Dutch Pavilion not long after the Hannover World Expo ended in 2000. Having helped to write the brief, I know first-hand that the Expo team hoped for a different outcome. The very essence of the Dutch pavilion was supposed to be sustainability, innovation, and long-term progress. So what went wrong? Why do so many expos, festivals and biennials promise to change the world for the better – only to end up as trash? A short answer: Many big-ticket events are thinly disguised real-estate plays in a world that is over-built. Pavilions, stadia and museums are too often conceived as ‘antenna buildings’ whose task is to attract attention to hitherto cheap land – and raise its price. Looking forward, biennials have a more transformative role to play as catalysts of the system change we need. To grasp this opportunity, the the biennial is best re-imagined, as a model, in four ways. 1. New story of place. Biennials are well-placed to to evaluate of a region’s social and ecological assets. In doing so, they can tell an alternative story about the relationship between humans and the places we inhabit. When this writer organised City Eco Lab (above) as centrepiece for the French design biennial in St Etienne, we put 50 live projects from the immediate region at the centre of the event. These included urban farmers, watershed restorers, and bicycle couriers. Visitors ate locally-sourced food at Cantine 50km. In workshops, project leaders from the bioregion met with global experts in platforms for cooperation and sharing resources. Scientists, in their studies of earth systems, biogeochemistry, and systems ecology, are discovering that our planet is a web of interdependent ecosystems in which no organism is truly autonomous – including us. A biennial can explore, make manifest, and and enrich these interconnections between social and ecological systems. 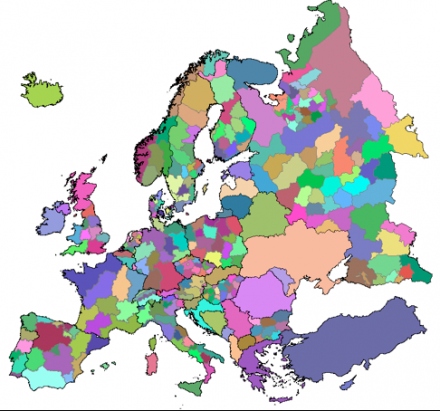 The ideal scale for a biennial is its bioregion. A bioregion re-connects us with living systems, and each other, through the unique places where we live. It acknowledges that we live among watersheds, foodsheds, fibersheds, and food systems – not just in cities, towns, or ‘the countryside’. These social and ecological systems can be the stars of the show. 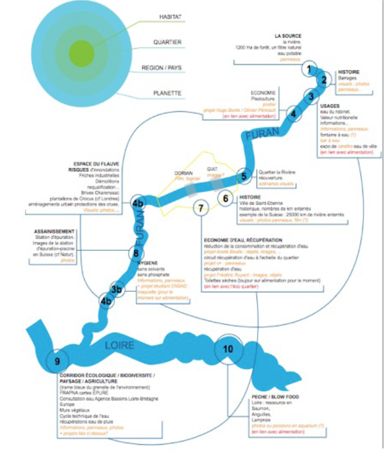 For the biennial in St Etienne we made a map (above) of the many projects bringing the river Furan back to life. Most of these projects were unknown to each other; politicians and citizens were inspired by the discovery of so much positive activity in their own back yard. A number of creative tasks for artists and designers follow from this approach. Maps of a bioregion’s ecological assets are needed: its geology and topography; its soils and watersheds; its agriculture and biodiversity. 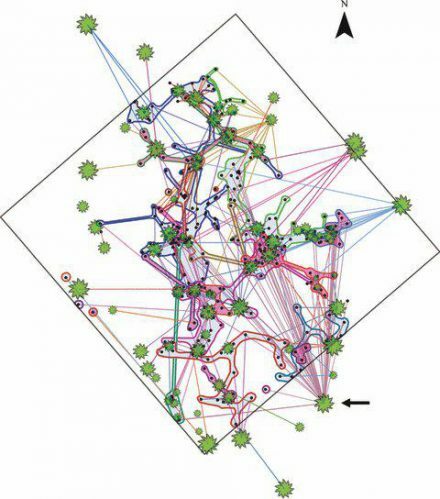 The collaborative monitoring of living systems also needs to be designed – from soil health, to air quality – and ways found to observe the interactions among them, and create feedback channels. New and artful forms of representation can be commissioned, in a biennial, to reveal energy and nutrient cycles, or biodiversity, or to show the different ways that healthy social systems depend upon, and are intertwined with, healthy economies and ecosystems. This new story of place needs to include people, skills and production facilities that have been rendered marginal by globalisation. 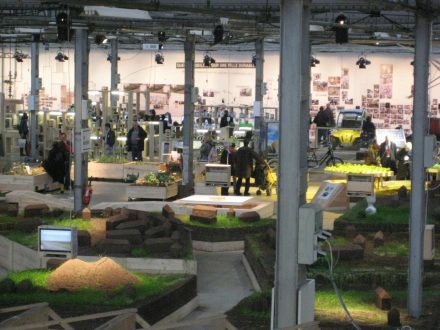 A biennial can be an engine of economic revival by showcasing locally sourced materials, the skills needed to use them, and under-used spaces with the potential to be re-purposed. When it is easier to find local manufacturers, people start to work with them. 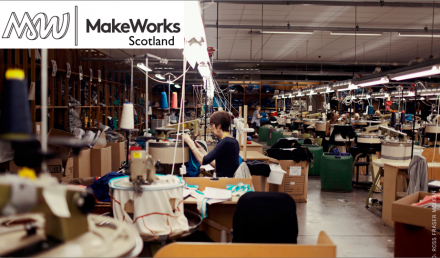 In Scotland, a network of ‘factory ﬁnders’ called Make Works, founded by two artists, documents skilled people, places, tools and materials. This open access platform boosts local economies of manufacture and repair. Most cities and their bioregions contain a rich diversity of social and environmental innovation – real-world projects concerning alternatives that work. But much of this activity is below-the-radar, or under-connected. Biennials can be the place (and time) when these project pioneers – together with outliers, and shadow networks – connect with fellow citizens and discuss new opportunities for work and enterprise. 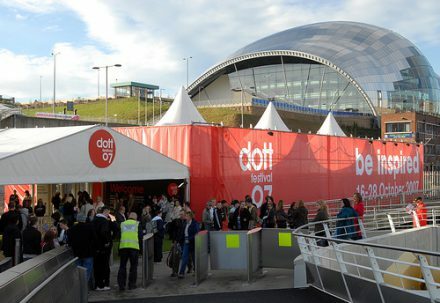 In Designs of the Time (Dott) – the first social innovation biennial – live projects across North East England explored what life in a sustainable region could be like. Topics ranged from urban farming and shared mobility, to community energy and elder care. At the Dott festival (above) project pioneers discussed with 20,000 citizens how to amplify this work. Their number includes energy angels, wind wizards, watershed managers. citizen foresters. dam removers, river restorers, rain harvesters, urban farmers, seed bankers, master conservers. .. the list is endless. In Paul Hawken’s book Blessed Unrest the glossary alone is 100 pages long. This connecting is itself a form of innovation. Few of these edge projects and networks are fighting directly for political power, or standing for election. They cluster, instead, under names like Transition Towns, Shareable, Peer to Peer, Las Indias, Open Source, Degrowth, Slow Food, Seed Freedom, or Buen Vivir. But when you bring these movements together – for example, in a biennial – they tell a joyful new story about the emergence of the new economy we yearn for. Biennials can embody a new story about the relationship of man to nature. In this story the key measure of value – and a new definition of development and progress – is the health of living systems, and the vitality of interactions between them. Growth, in this new story, means stewardship, not extraction. It means soils, biodiversity and watersheds getting healthier, and communities more resilient. A biennial is ideally placed to seek out and amplify signals of change that already out there – but unrecognised, and disconnected: New forms of social organizing, new values, new ways of working and living. The cultural and aesthetic dimension here is itself transformative. Artistic practice is uniquely powerful in changing the threshold of what is seen and what is unseen. 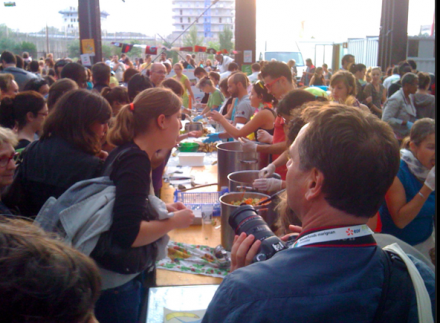 As Europe’s Green Capital, the city of Nantes staged the usual trade fair and conferences. But with Disco Soupe (above) the biennial took to the streets and came to life; seven thousand citizens were fed with food ‘waste’. A major challenge for change makers is the sheer diversity of stakeholders who need to be stewarded in order to get things done. As shared public events, biennials can be retooled as bridges and connectors that foster reciprocal relationships between diverse actors united in a common goal: the long-term health and vitality of their place. Platform cooperativism is hot topic in the tech world right now – but it has huge potential, too, in the context of bioregional transformation. Sharing and cooperation are not new. Throughout history, humans have collaborated in diverse ways to obtain low-interest credit and capital, training and certification, low-cost insurance and the like. One task for a biennial is to explore what forms of cooperation existed in that region in the past – and how these models might be re-purposed using the latest collaboration software and networks. with its bioregion, and the enterprises within it. This entry was posted in city & bioregion, learning & design. Bookmark the permalink. Post a comment or leave a trackback: Trackback URL.